The US Army's chief of staff said Monday that the next-generation squad weapon would fire faster, farther than previous infantry rifles and penetrate the most advanced body armor technologies in the world. 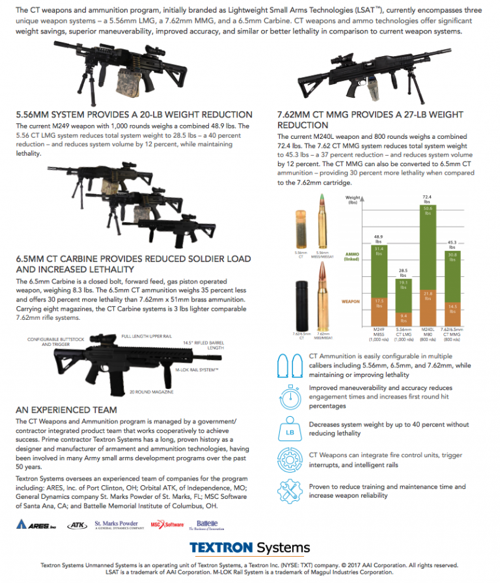 "It will fire at speeds that far exceed the velocity of bullets today, and it will penetrate any existing or known ... body armor that's out there," Gen. Mark Milley told Military.com at the 2018 Association of the US Army's Annual Meeting and Exposition. "What I have seen so far from the engineers and the folks that put these things together, this is entirely technologically possible ... It's a very good weapon." Military.com said Gen. Milley's comments come days after an Oct. 04 draft solicitation which announced the Army's plan to "award up to three prototype Other Transaction Agreements ... with each offeror developing two weapon variants and a common cartridge for both weapon, utilizing government-provided 6.8-millimeter projectiles," according to FedBizzOpps. "The weapons include the Next Generation Squad Weapon-Rifle (NGSW-R) and the Next Generation Squad Weapon-Automatic Rifle (NGSW-AR)." The contract solicitation on FedBizzOpps states the Army plans to award production for up to "250,000 total weapons system(s) (NGSW-R, NGSW-AR, or both), 150,000,000 rounds of ammunition, spare parts, tools/gauges/accessories, and engineering support." The contract award would be valued at "$10 million the first year and $150 million per year at the highest production rates," it adds. In July, we documented how the Army selected five firms to build next-generation squad automatic rifle prototypes. 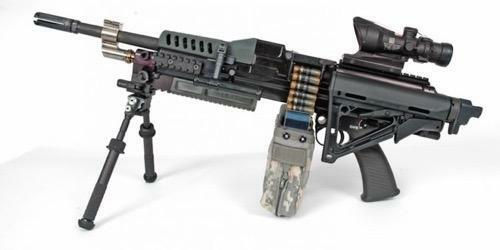 The contracts were the result of a prototype opportunities notice that we also covered in March for the small-arms industry to submit designs to replace the M249 light machine gun. We also said the Army is preparing for decades of hybrid wars across multiple domains - space, cyberspace, air, land and maritime. Back in Oct. 2017, we examined the military's latest Training and Doctrine Command report, which highlights how the next round of hybrid wars could begin somewhere around 2025 and last through 2040. Military.com said Gen. Milley did not comment on the prototype contracts, but said there were "several prototypes that were advanced forward." He said the Army is forbidden to "speak too much about its technical capabilities because our adversaries watch these things very closely." "It's a very sophisticated weapon, very capable weapon. It's got an integrated sight system to it, and it also integrates into the soldier's gear and other equipment that we are fielding," Milley said. "And not surprisingly with a weapon like that, it's probably pretty expensive. We expect it to be expensive so we are probably not going to field the entire Army with the weapon." "The bottom line is we are committed to a new rifle and a new squad automatic weapon," said Gen. Milley. "We hope to be able to shoot it on ranges down at Fort Benning, [Georgia], hopefully ... maybe sometime next year late summer."